Fifteen summers ago, I was working as a coach/counselor at the John Chaney/Sonny Hill Basketball Camp in Ambler, PA. I wasn’t quite sure what I wanted to do at that point in my life, however I knew that I wanted to be involved somehow, some way in basketball. It was there that I met a plucky young man who took an immediate liking to me. 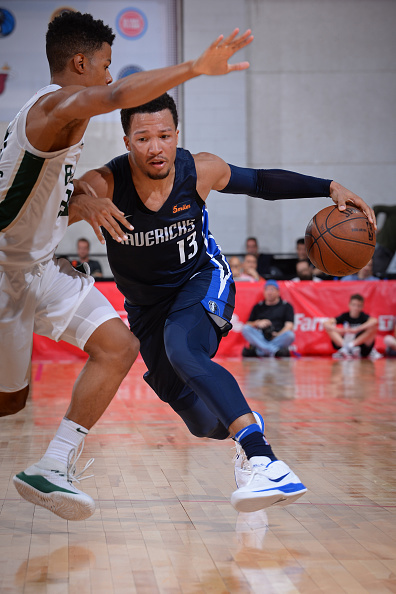 At 6 years old, he technically wasn’t a camp participant, but his father, former NBA player Rick Brunson, saw to it that his son was there everyday to soak up some basketball knowledge and nuance. By the end of that week, he was challenging me to a game of one-on-one, and he was serious. In my mind, I was a fully grown adult, and here was this child looking to make an example out of me. I didn’t think much of it, yet he was quite persistent and brimming with the confidence of a McDonald’s All-American. I encouraged him to receive the ball first and he quickly instructed me that we would shoot to see who gets the possession by shooting from the top of the key. He missed and the ball was mine. The game went to 3, with every shot equalling a point. I made my first two jump shots and he expressed to me that I had better not miss…nonetheless, I missed my third attempt and things took a turn when he grabbed the rebound and began to attack me like a seasoned NBA veteran. He dribbled the ball feverishly with his left hand and as I positioned myself to get as low as possible on defense, he stutter-stepped his way below the foul line and took a shot. I remember grabbing the rebound as I tried to comprehend what had transpired. He was about 3 feet tall, and I had to guard him like he was one of my peers. I had never seen anything like it. The best way I can explain it was like the first time I saw Michael Jackson do the moonwalk. My mind couldn’t process what my eyes were actually seeing. I walked away from that friendly competition knowing it would be a matter of time before this young prodigy became a bonafide NBA player. 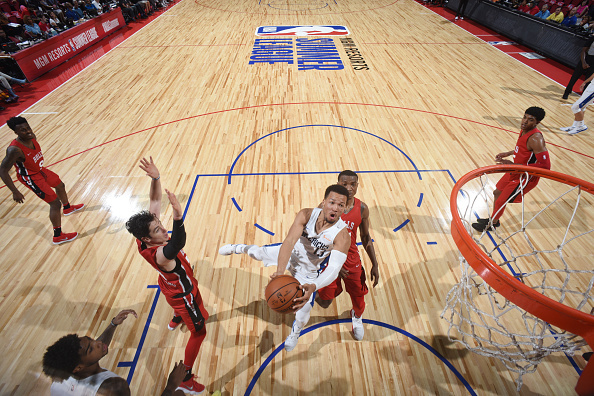 On Thursday, June 21, 2018, the Dallas Mavericks fulfilled the prophecy and selected Jalen Brunson with the 33rd pick overall, officially signing him to a four-year deal a few days ago. When did you know that you could play on the NBA level? Was it a particular moment? When I first realized that I could play at the NBA level was my freshman year of high school. It was throughout my freshman year where I just kept working hard and getting results at the varsity level. If I kept that up, I would be able to get good enough to get to there [NBA]. I always looked up to my dad growing up. I watched him as a young kid and I did not know why he was working so hard. But once I realized what he was doing, it made me want to work just as hard as him, if not harder, once I got to this point. He has been there every step of the way and he has done what I want to do. How much of your dad’s game has been influenced into yours? I think every last bit of it. I’ve been able to listen to him for the past 21 years of my life. Everything he’s told me to do in life has translated into basketball in some way. He’s also told me to be a leader, not a follower. He’s always told me to work hard in everything that I do. Just the way he’s taught me about life has translated to basketball and it’s definitely prepared me for this moment and I’m going to continue to listen to him…he’s great, very wise…I’m happy, I’ve had my dad for many years. You played three years in college and earned your degree. 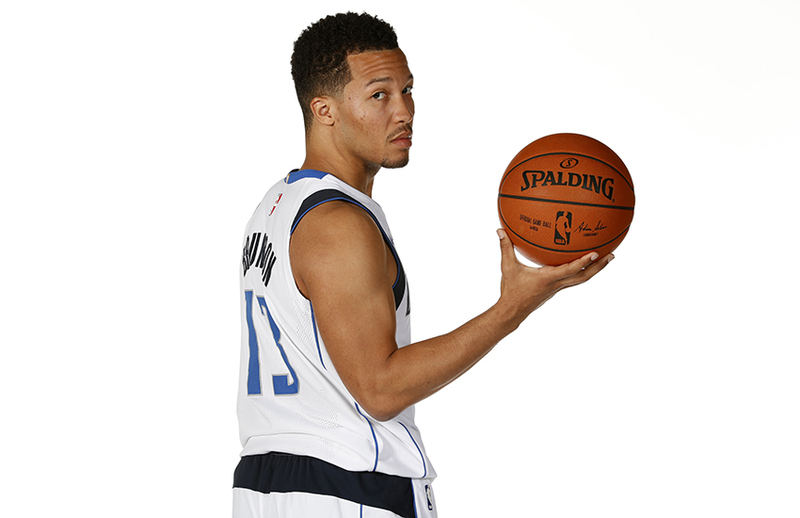 Can you talk about your college experience and your transition to the NBA? I honestly believe that it’s going to help me because of just the way I’ve been raised. I’ve been raised by a great set of parents and they’ve done a great job with me. In college the goal was always to finish school and get a degree—[I was a] communication major—so that was the most important thing. My transition now, it’s something that I’ve known for a long time. I’ve been around basketball for a long time, but to actually go through it is something different, so I’m going to go with the experience and have fun with it. 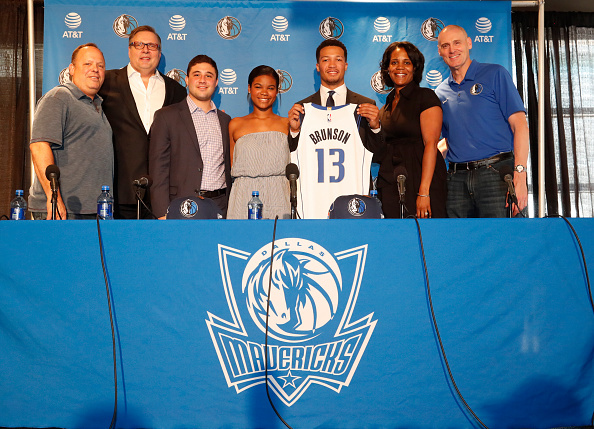 What are your thoughts on getting drafted by the Dallas Mavericks? I’m just really thankful that I got this opportunity with this organization. Most importantly, like I said before, I’m not satisfied with anything that I do. The things I’ve done in the past, I’ll cherish those things after I retire. As of right now, I’m going to get better, continue to push forward, not really worry about what other people think of me, or what should have happened. I’m here now, I’m ready to work and I’m ready to move forward. What are you looking forward to in playing alongside Dennis Smith Jr.? I’m definitely excited. He’s obviously a very good talent—just seeing him from where he was when we were in high school at the CP3 [Elite Guard] Camp, to where he is now, is pretty special. I’m willing to do anything to make my teammates and myself better. I’m a competitor, I work hard everyday, I’m never satisfied with anything I do. I try to strive for greatness and I’m just going to push myself and push them as best I can. What would you say is your best attribute on the court that we don’t see? I think the most important thing for me is just being a team player, building relationships with your teammates. That’s a thing that people don’t think about, but being able to connect with your teammates can help with chemistry on the court…being able to trust guys and things like that…so being able to have relationships with those guys is really one thing that I think is important.